NoCD for GTA 3 v1.1 for crackers from "Beech" and "1C". In contrast to other cracks, with this text in the game is displayed normally, rather than crooked. Yes, and the crack itself is good, I with him the whole game 100% passed and did not notice any krivostey. 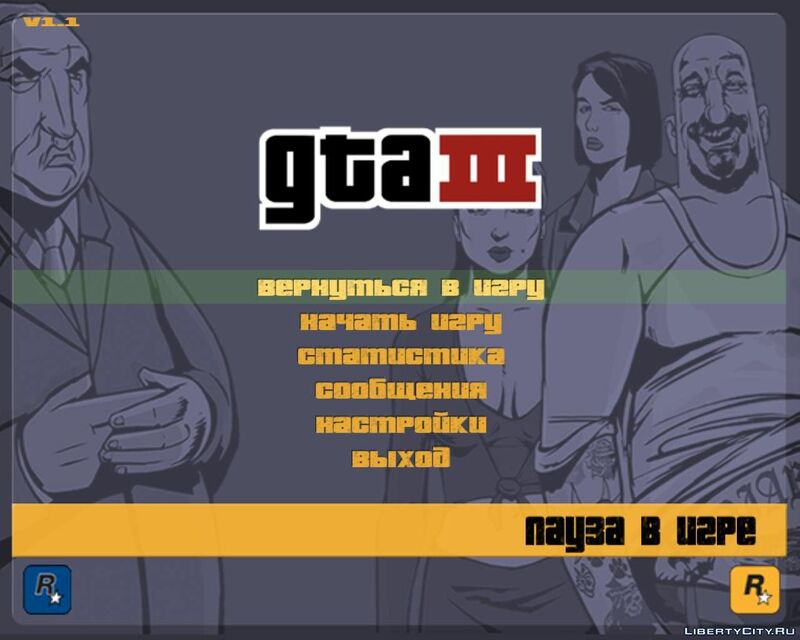 Installation: gta3.exe file is dropped into the folder with the game and confirm the replacement. Have a good game! and what does he give? With 1C translation, it works fine, it loads quickly. Pure pleasure. And on the network in the crack you can play play? может кому-то пригодится, но мне он не нужен. у меня и без этой штуки работает. Разве ты автор данного файла??? Нет, не я. Просто пришлось так написать, чтобы файл успешно добавился.. Но если бы я знал автора, я бы его написал.